During its first six years, the International Historic Motoring Awards program might have leaned heavily toward European collector car activities but certainly included a number of American award candidates and winners. Along with shortening of the name to Historic Motoring Awards this year, however, the program’s organizers have also taken American cars, clubs, and activities almost entirely off the table, with the Bullitt Mustang as one of the few exceptions. Nominated for the Car of the Year award, the hero car from the 1968 Steve McQueen flick emerged from decades of hiding in January of this year with unquestioned provenance. 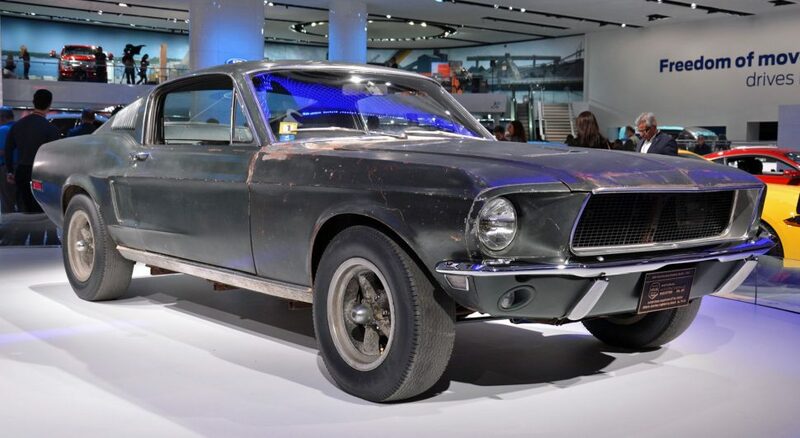 Ford used it to help introduce the Bullitt edition of its 2019 Mustang, Hagerty displayed it at the Amelia Island Concours d’Elegance, and the Historic Vehicle Association first added the battle-scarred Highland Green fastback to the National Historic Vehicle Register and then exhibited it on the National Mall in Washington, D.C. The Mustang even ran up the hill alongside one of the Dodge Chargers from the film at this year’s Goodwood Festival of Speed. It will compete for judges’ attention with five other cars: the 1968 Lamborghini Marzal concept, which Lamborghini Polo Storico restored and which Swiss collector Albert Spiess redebuted at this year’s Monaco Historic Grand Prix; the 1948 Land Rover prototype that helped launch the brand; the so-called Jabbeke Triumph TR2, which emerged from restoration in January 2017; the 25 Aston Martin DB4 works continuation cars; and the Le Mans veteran 1974 Porsche 911 RSR Turbo that crossed the block at this year’s Gooding Amelia Island auction. The shortlists for the rest of this year’s Historic Motoring Awards don’t reveal many other American contenders. The Los Angeles-based Petersen Automotive Museum is up for Museum of the Year, a category it won in 2016. The Lime Rock Historic Grand Prix has been nominated for Motorsport Event of the Year (alongside the Le Mans Classic and the aforementioned Festival of Speed). “Inside Track,” the Phil Hill autobiography done with Doug Nye, made the list for Book or Film of the Year. And the Endurance Rally Association’s Trans America Challenge picked up a nod for Rally of the Year. Only one American car ever won the IHMA’s Car of the Year award – Shelby Cobra Daytona CSX2287, the first car added to the National Historic Vehicle Register – though at least a couple of Americans (Dan Gurney and Peter Mullin) and one American landmark (the Bonneville Salt Flats) have taken the IHMA’s Lifetime Achievement Award or Personal Achievement of the Year Award and McPherson College’s Automotive Restoration program has taken the Industry Supporter of the Year Award. Following Geoff Love’s departure from Octane magazine in late 2016, the Octane-presented International Historic Motoring Awards for one year re-branded as the Octane Awards before re-branding again to the Historic Motoring Awards this year. The 2018 Historic Motoring Awards ceremony will take place October 25 at the Sheraton Grand London Park Lane Hotel. For more information, visit HistoricMotoringAwards.co.uk.